While I try and avoid politics in my posts, let me just say this, about that. 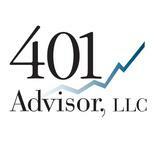 As an investment advisor I make my living by investing on behalf of my clients. The better the economy, (more often than not) the better the stock market performs. The better the stock market the better off all of us investors are. From a social aspect, the bigger the economy the more money for the Federal budget – whatever your preferences may be, (and this is what politicians should be debating) military spending, infrastructure, health care, trade, or maybe even paying down the deficit… The more revenue generated through economic growth, the more we as a nation can accomplish. There is just no denying that economic growth is stronger now than it has been in decades, and despite warnings to the contrary, it is showing signs of further acceleration. Bull markets can end for a number of reasons, but a recession is not one that we face in the near future. Which brings me to the point(s) of this post. The stock market negative news hasn’t stopped since the day of the election. The market was going to crash and never recover, pick your reason: the election, N. Korea, Iran, trade wars, tax cuts, rising interest rates, or just simply because it’s been going up for too long. Where ever your politics lie, as an investor, I hope you have come to realize that following the media and their “bold” predictions is a sure way to prevent wealth creation. Bull markets end because the outlook for earnings growth deteriorates. Period. Earnings can decelerate for a number of reasons. A cyclical economic slowdown (old fashioned recession), a financial crisis (worries are brewing), or an exogenous event (9/11, major natural disaster, war…). While an exogenous event is unpredictable, there are warning signs to watch for, for the first two. Let me address the theories that abound that we are heading for an economic slowdown. We import more than we export. The US not buying goods from other countries will hurt them much more than other countries not buying goods from us will hurt us. Virtually everything we import we can make ourselves, it might cost more, but it would also create jobs. President Trump is counting on this very simple reality to reverse a trade policy that was created to address global reconstruction after WWII. By negotiating one on one with our trade partners, he feels we can “normalize” policy to one that puts us on a more equal footing with our partners. Do we really still need to be protecting German manufacturing by allowing tariff’s on our goods? Bottom line is that agreements will be renegotiated because it is in everyone’s best interest to do so. China will come along slowly. If they want to play with the big boys (membership in the WTO) then they need to act like a grown up, not a 5 year old begging for a candy bar handout at the grocery store. Stealing intellectual property is not a grown up world activity. Mexico, as one of our most important allies has been at the forefront of negotiations. And the market rightly celebrated a new agreement with a 200+ point DOW day. Yes there will be some disruptions, some winners and some losers but the overall economic effect will be nil. If you don’t want to read company reports and financial statements to determine the effects of higher tariffs, then just avoid individual stocks for now. There are plenty of ETF’s to offer enough diversification to circumnavigate the Harley Davidson’s (HOG -13.04% YTD, 8/28/2018). Try IYT, the iShares Transportation Average ETF, +7.33% YTD. The bull market will end because this is one of the longest bull markets in history. So what? Last I checked the stock market doesn’t understand the concept of a calendar. So how is it that this recovery is on its last legs? Yes, we could be getting close based on the 1962 recovery, but we could also only be ½ way there based on the 1970 recovery. Are you really willing to sit out knowing that historically GDP could still double from here? Richmond Fed manufacturing index beat expectations by 26%! Invest, because that is what investors do. With one caveat…what’s your exit strategy? Understand the need for an exit strategy now? If you don’t have one be very certain that the day I say “I told you so” will come! Better idea – give us a call and we can help work some strategic planning into your portfolio. The information in this email is confidential and is intended solely for the addressee. If you are not the intended addressee and have received this email in error, please reply to the sender to inform them of this fact. Any disclosure, copying, distribution or any action taken in reliance on information contained herein, is prohibited and may be unlawful by anyone other than the legally intended recipient. We cannot accept trade orders through e-mail. Important letters, e-mail, or fax messages should be confirmed by calling (928) 778-4000. This email service may not be monitored every day, or after normal business hours.